I hope you are enjoying the latest issue of Mermaids & Mythology with so many visual delights. We are now working hard and putting the finishing touches on the autumn edition (number 5) which will be out at the end of the month. 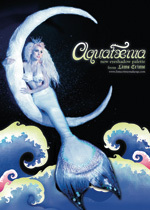 You’ll find the current edition #4 in Barnes & Noble stores, plus it’s also available online from www.mermaidmagazine.com. We have some fintastic offers for you if you’d like to advertise with us, including a special mer-letter offer for just $75 USD (£50 UKP) you can have an 8th of a page! Plus larger sizes are available too! As a special celebration of reaching our fourth edition, we are offering you the chance to advertise at a special mer rate! CONTACT US for details. 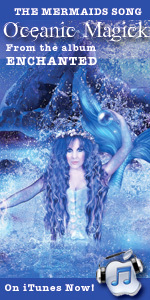 Subscribers will also receive a Mermaid art poster by one of the world’s leading Mermaid Artists, David Delamare. 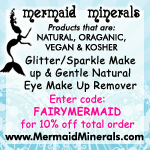 So, it’s back to Mer HQ to bring more watery delights to you!…..